It has taken a lot of work and fundraising, but the Animal Welfare Association (AWA) located in Voorhees, New Jersey in Camden County has some new additions! 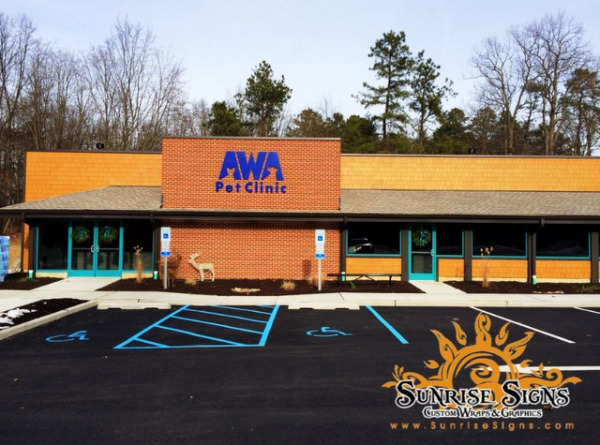 They’ve recently added a new pet clinic to help homeless animals across South Jersey. Even when a non-profit like AWA makes changes or renovations, they need the right signage to help direct, inform and guide visitors. Once again, they called on Sunrise Signs to aid them in this process!